Ibiza Villa in 1st sea line in Talamanca, plot of approx 2000 m2, house 300 m2 with 5 bedrooms, garden, swimming pool, room service has 1 detached house, 1 large suite upstairs with bathroom. The bottom has 3 bedrooms. 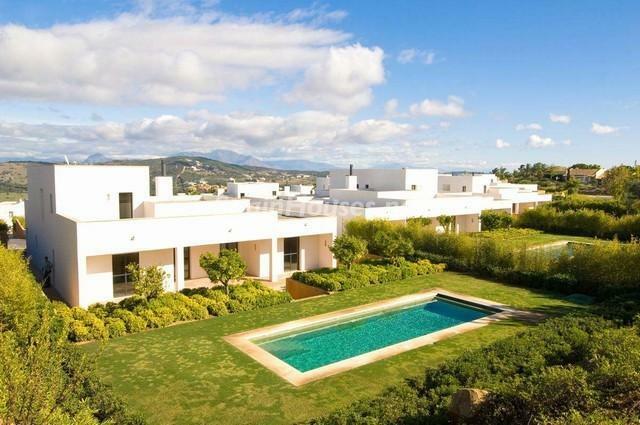 ...continue reading "Minimalist white villa for sale in Ibiza, Balearic Islands"
Luxury villa for sale in Ibiza, Balearic Islands, near the golf course Roca Lisa. Sup The villa has approx 800 m2, plot 1600 m2, 6 bedrooms, 6 bathrooms, 3 swimming pools, Jacuzzi, terraces overlooking the sea and Formentera. 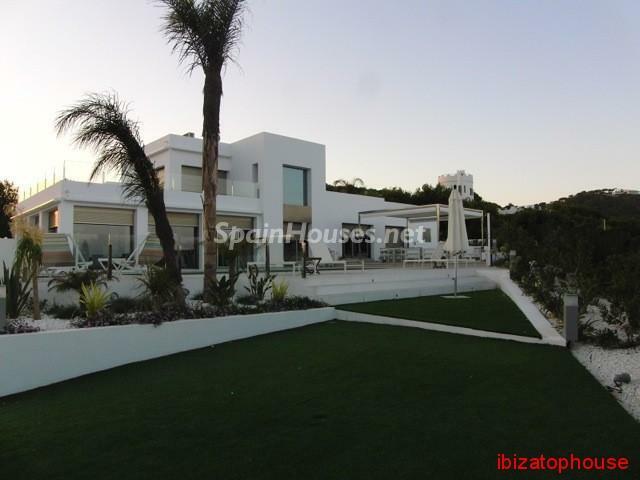 ...continue reading "Wonderful Villa for Sale in Ibiza, Balearic Islands"
The house of this week is a luxury and minimalist villa for sale, situated in Ibiza, newly remodelled with fine materials and top quality. Surrounded by bush, it has magnificent sea views and sunsets. The area is very quiet and peaceful. ...continue reading "Detached villa for sale in Ibiza, Balearic Islands"
Las Cimas de Almenara is a gated and guarded community with first class communal facilities. Las Cimas II is made up of 18 houses that have all been designed using the same criteria as the first phase, which has become one of Sotogrande's best examples of how to enjoy all the benefits of community living. It boasts unique architecture where colour and textures share the limelight with light and water. Courtyards, terraces and wide open spaces make Las Cimas de Almenara a peaceful haven. All the houses have a garden and private pool, with communal maintenance for both. To maintain the desired level of privacy the only communal areas are for access and service. The community is designed to offer a concierge and security service, to give you the peace of mind you need. Integrated into its surroundings on a natural vantage point, Las Cimas de Almenara is a truly unique setting in one of the most exclusive and sought-after locations of all the Mediterranean. From this privileged location the views are spectacular. It is a beautiful landscape where the green of the golf courses contrasts with the blue of the sea, bringing out the whiteness of this exclusive development's unique architecture. Enjoying these privileges is reserved for a select few, those looking for the ultimate luxury. ...continue reading "Modern Mediterranean Style: Villa in Sotogrande, Cádiz"